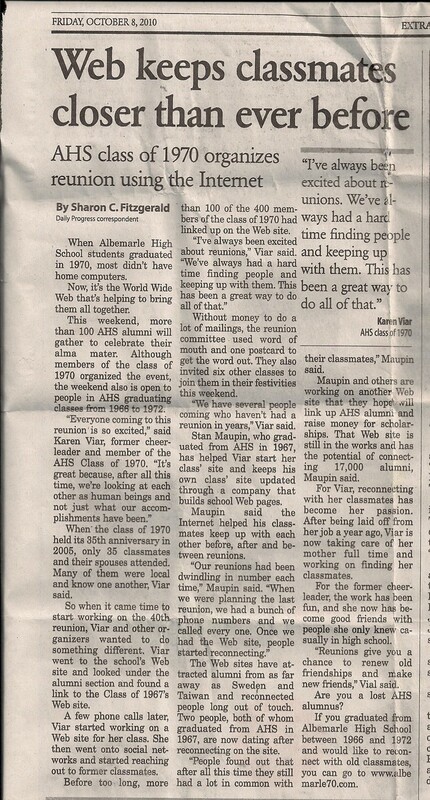 The Class of 1970 launched a website prior to its 40th reunion in October, 2010 and the Daily Progress reported on the impoact it had on the class. The Class of 1967's website has had more than 10,000 visits since its launch 18 months ago. Click the picture below to read the about how a website can help your class.